See the best of Milan in a single day on this 6-hour walking tour that also takes you to locally loved spots often missed by visitors. Your in-the-know guide will detail the history of the many sights you’ll see, for a level of insider’s perspective you can’t get with a guidebook. Plus, you’ll save time with special skip-the-line treatment at the Duomo di Milano and Leonardo da Vinci’s ‘The Last Supper.’ Bypass the long queues for both showstopper attractions and enjoy priority access to some of the city’s other famous churches, too. Meet your local guide near Cadorna railway station in central Milan to begin your walking tour. Be sure to wear comfortable shoes as well as clothes that keep your knees and shoulders covered; a strict dress code is in place at many of Italy’s churches. Once you get acquainted with your small group, set off on foot, taking in Milan’s famously beautiful architecture along the way. Listen to tales about one of Milan’s most famous structures, the Duomo di Milano, a Gothic cathedral that took nearly six centuries to complete. As Italy’s largest church, and the fifth largest in the world, you’ll want to capture this moment with a photo. The wait to get in can be painfully long, but with your guide you’ll skip past the entrance lines and head directly inside. 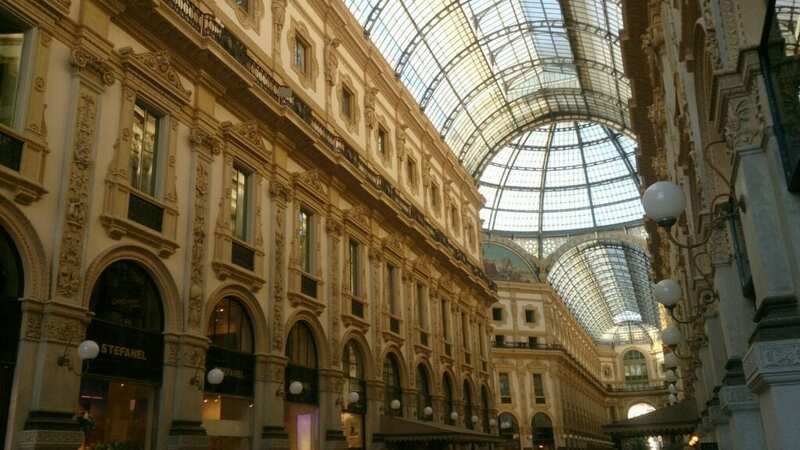 After the Duomo, peruse the Galleria Vittorio Emanuele II, one of the world’s oldest shopping malls dating back to 1877, with four stories and dozens of stores. Follow your guide to more of Milan’s must-see sights, like Piazza della Scala and the outside of its captivating theatre, Piazza Mercanti and the Sforza Castle, built in the 15th century. Then break for lunch (own expense) in Piazza Duomo or around the charming Brera district. With your appetite sated, head for the Church of Santa Maria delle Grazie, the UNESCO-listed church and Dominican convent where The Last Supper is housed. Bypass the crowds with your skip-the-line ticket and enter the intimate room with your guide. Stand close to Leonardo da Vinci’s world-famous mural and hear about the painstaking 21-year restoration that is has recently undergone. Your tour then concludes back at the original start point following a stroll through the Stiletto-clad fashion district. Please note: The order of the itinerary is subject to change without notice on the day of your tour.